Boost your odds of winning games of strategy! 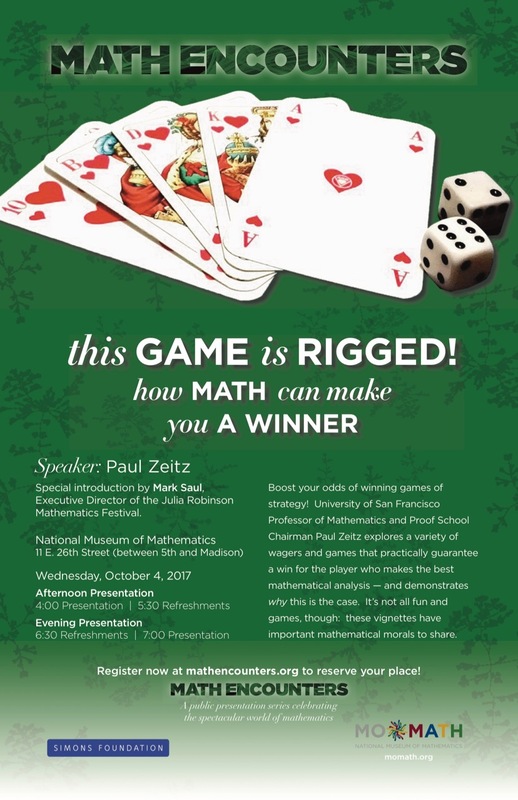 University of San Francisco Professor of Mathematics and Proof School Chairman Paul Zeitz explores a variety of wagers and games that practically guarantee a win for the player who makes the best mathematical analysis — and demonstrates why this is the case. It’s not all fun and games, though: these vignettes have important mathematical morals to share. Special introduction by Mark Saul, Executive Director of the Julia Robinson Mathematics Festival.